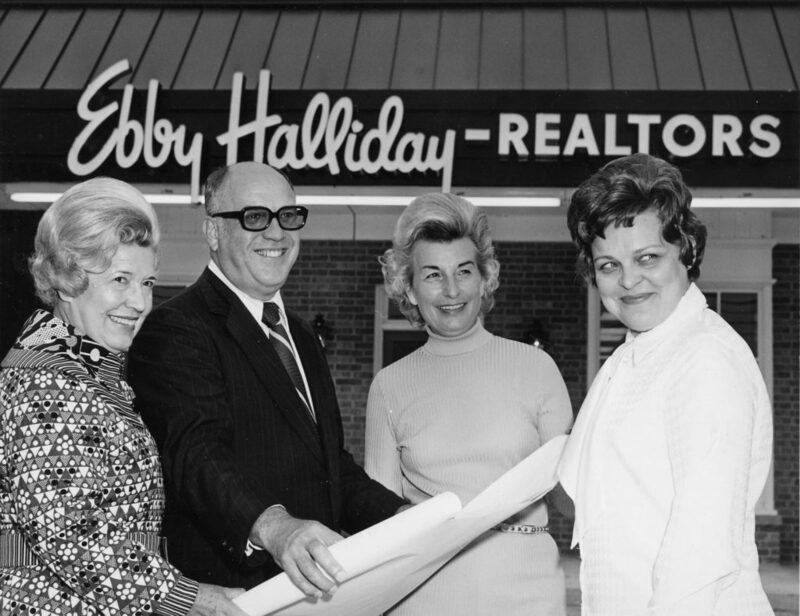 From left, Ebby Halliday, her brother and Executive Vice President Paul Hanson, Ebby’s first sales associate Mary Lou Muether, and Mary Frances Burleson, who today is President and CEO of the Ebby Halliday Companies, celebrate the opening of the Plano office in 1972. 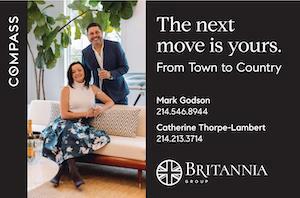 With thousands of people moving to Collin County for jobs with Toyota, Liberty Mutual, and many others, it’s not a big surprise that North Texas residential real estate firms are now flocking to the area. It’s easy to forget that one firm, Ebby Halliday Realtors, has served Collin County since 1971. That’s when Ebby herself opened a one-room office in the growing town of Plano. There was a great deal of home construction going on in the area and Ebby’s office — a builder’s shack with a porta potty — was a favorite gathering spot for homebuilders who knew she always had a hot pot of coffee ready and enjoyed visiting about the potential of this small community north of Dallas. 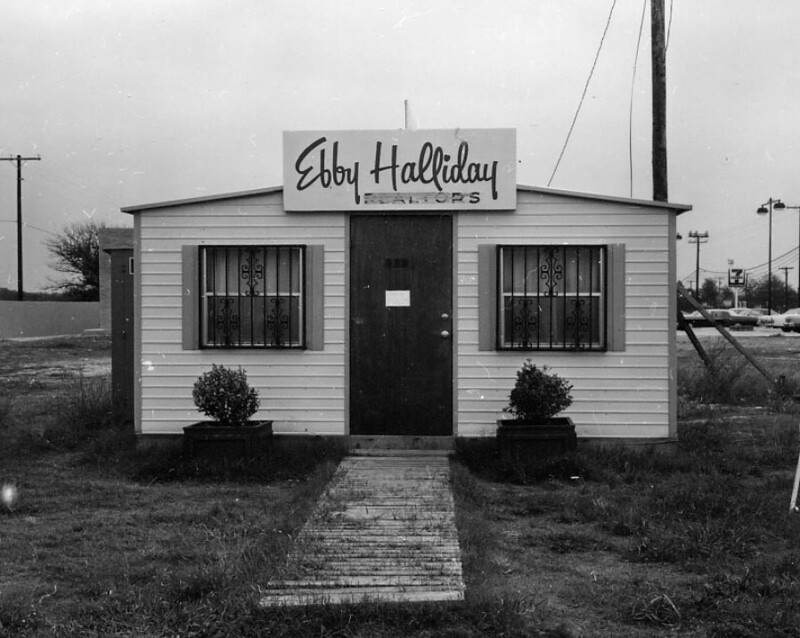 Temporary Plano office of Ebby Halliday in the early 1970s. 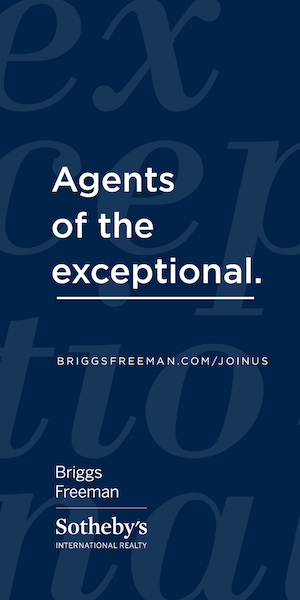 Today, Ebby Halliday Realtors has nine offices serving Collin County and the firm’s commitment to this booming part of Dallas-Fort Worth is stronger than ever. 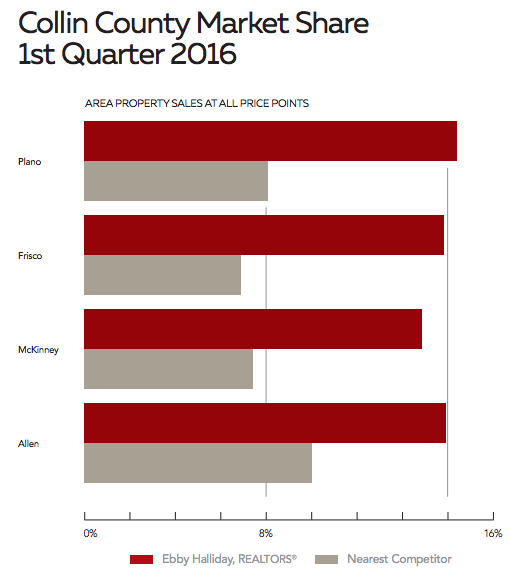 In fact, in the first quarter of 2016, Ebby Halliday sold more than twice as much real estate by volume in Plano (15.2 percent), Frisco (14.7 percent) and McKinney (13.8 percent), and 1.5 times as much in Allen (14.8 percent), as its nearest competitor. 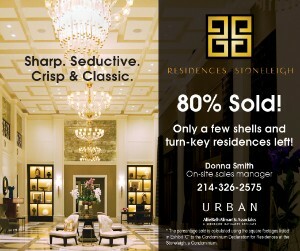 In the luxury market segment of $750,000 and above, Ebby led the nearest competitor in Plano by a three-to-one margin with 32 percent of the market, nearly two-to-one in McKinney with 26 percent of the market, and more than two-to-one in Frisco with 22.6 percent of the market. Whether you’re considering moving to, from, or within Collin County, Ebby Halliday is poised to serve all of your residential real estate needs. 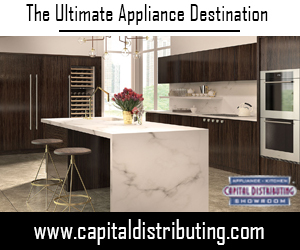 Ebby’s offices serving Collin County include 190 – Richardson, Allen, Campbell / Coit, Frisco, McKinney, Plano, Plano/Willow Bend, Preston Keller, and Preston Plano Parkway. 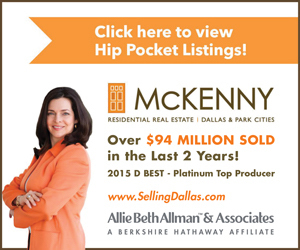 In addition to serving the real estate needs of those living in and moving to Collin County, Ebby Halliday Realtors has long been a strong supporter of the area’s community life – particularly its strong arts and children’s programs. The firm recently found the perfect match when it became the two-year title sponsor of The Plano Symphony Orchestra’s EncoreYouth program, which inspires, educates, entertains and involves children and youth in the enjoyment of great music. The EncoreYouth program includes a School Concert Education Program, a Young Artists Competition, the popular “Instrument Petting Zoo” and the Family Symphony Sunday Series. To learn more about this innovative Collin County arts initiative, visit encoreyouthmusic.com. Ebby Halliday Realtors also recently served as a Diamond-level sponsor of the Allen High School Escadrille, as they performed at the 2016 Tournament of Roses Parade on Jan. 1 in Pasadena, Calif. Members of “The Biggest Band in the Land,” more than 700 of them, enjoyed a once-in-a-lifetime experience thanks to Ebby and other sponsors. “Visionary leadership, 45 years of experience serving Collin County’s residential real estate needs, and a sincere commitment to community service make Ebby Halliday Realtors the obvious choice in Collin County,” Burleson said. Pink Wall: Potential or a Just Nice, Reasonably-Priced Place to Live? Or Both?